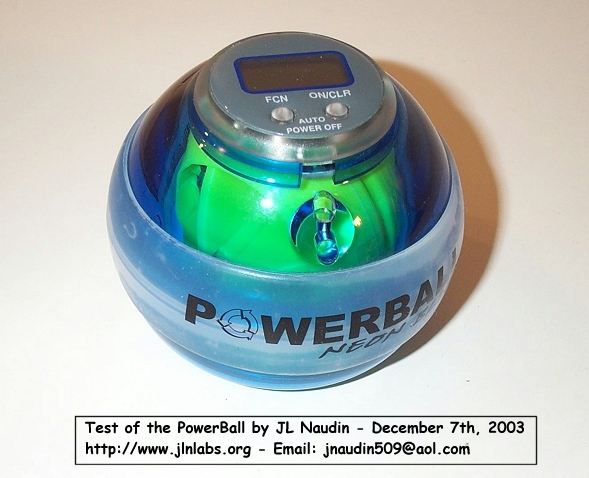 The Powerball is a very interesting and an unique device which uses the gyroscopic precession force and the power of the hand to self-energize itself. 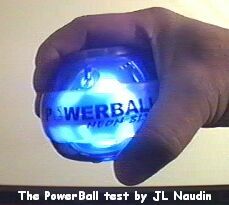 The Powerball is able to turn at a very high speed ( > 10000 RPM ) and becomes bright while it runs. I have tested myself this device. Today, I can say that this device is worth really to be tested by anyone. I am very gratefull to Samy Bensmida for giving me the privilege to test such a device. 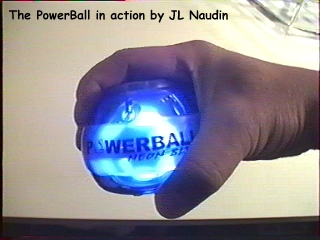 The Powerball Neon Blue version. A small computer is placed on the top. 3) the number of turns during 30 seconds. 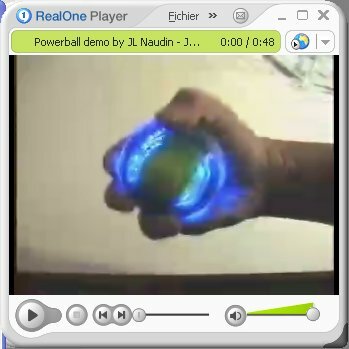 When the Powerball is energized by the hand, it turns at high speed ( > 10000 ) and becomes bright. 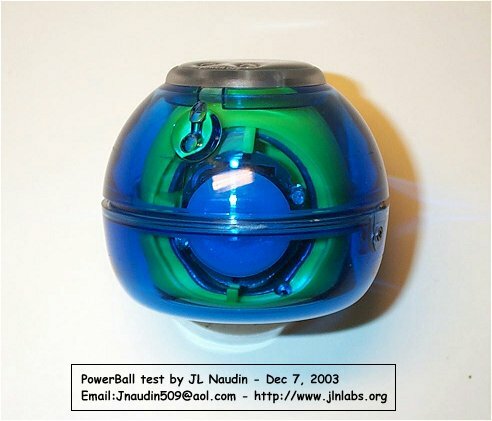 The Powerball can be found on Ebay !! !